It seemed appropriate — after featuring The Once and Future King in my usual book recommendation slot a couple of weeks ago, dramatized by a man from London, Brian Sibley, and originally written by a man who is considered to be one of the great English authors, T.H. White — to feature a London bookshop in my bookstore post this month. The London bookshop I’ve decided to highlight is one near Russell Square, in Bloomsbury (an area of London which was once quite a haunt for the literati). You can get an idea of what it looks like, and what it means to people, by watching this video. While I doubt that white wine is always on offer, the tea shop you glimpsed is real. It’s called simply The Cake Shop. It is connected to the bookshop, and serves lunches, tea, and of course, delicious looking cakes. Imagine for a moment, going into the bookshop, finding just the right book, then settling into a corner of the Cake Shop with your tea and cake, to begin reading right away. Joy! Of course, the main reason one visits a bookshop is the books, and this place does not disappoint. Although I haven’t visited there (yet — it’s definitely on my Bookstore Bucket List) I can imagine that when one walks in the door, one gasps at the sheer number of books — books on tables, books on shelves, books downstairs, books everywhere. The website is chock full of books as well. The section of the site called “On Our Shelves” isn’t just a soul-less listing of books, but gives insights into the books, lets you experience what is currently on their front tables, provides reading guides, links you to reviews (because London Review isn’t just a clever name, the London Review of Books is a literary publication that was founded in 1979), and so much more. They have children’s books, too. They have practically any category of book you could wish for — and if they don’t have it, they can likely get it. A search for the term “King Arthur” (which seemed appropriate, given my mention of The Once and Future King above) yielded 62 hits, although admittedly the further into the list you get, the more obscure the connection. Even so, there is a wide range of fascinating looking books listed! Perhaps the “about us” section of their website says it best: “Our selection of more than 20,000 titles ranges from the classics of world literature to the cutting edge of contemporary fiction and poetry, not forgetting a copious display of history, politics, philosophy, cookery, essays and children’s books. And our lovely shop, designed by Amanda Culpin of Utility, provides the perfect setting in which to explore them all. No matter where you are, I hope you’ll support independent bookstores whenever possible. Beth, this is terrific. I loved their video and the pastry counter was calling my name. Yes, it would be wonderful to find a delightful book, then sit down for tea and cakes and read and eat. Sigh. Heaven. 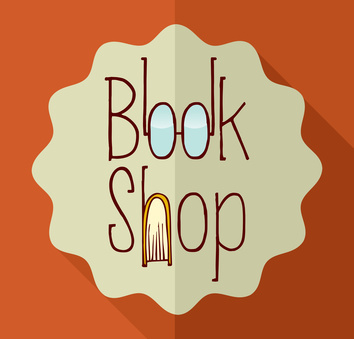 I love your “bookshop bucket list” a great list to have and fill and check off all the visits. I will for sure put this one on my list. Sounds delightful and with a cake shop next door, perfect!